High-quality carbohydrates enriched with L-arginine to provide maximum support to your body during training! Excellent choice for both endurance and endurance athletes! The unique, specially enhanced carbohydrate supplement, which exceptionally quickly and effectively fosters the process of recovery and accumulation of energy reserves in the muscles. Dextrose is the carbohydrate increases insulin secretion of the hormone, which potentiating the absorption of creatine and amino acids. Improve your athletic performance thanks to this supplement! TREC DEXTROSE PRO is pure dextrose, which enhances the absorption and transport of creatine and amino acids into muscle cells. The product contains a quickly absorbed source of carbohydrates, so that adds energy to exercise and supports the process of recovery and glycogen post-workout recovery of the body. DEXTROSE PRO due to strong anabolic and energy is especially recommended in workout programs designed to rapid increases in strength and muscle mass. Dextrose is a carbohydrate increases the energy balance of the body. This increases the body's energy resources by which increases the efficiency and strength training. The use of dextrose causes increased secretion of the hormone - insulin, which facilitates the transport of creatine and amino acids into muscle cells. Additional use of creatine dextrose increases the concentration of creatine in blood by up to 50%. 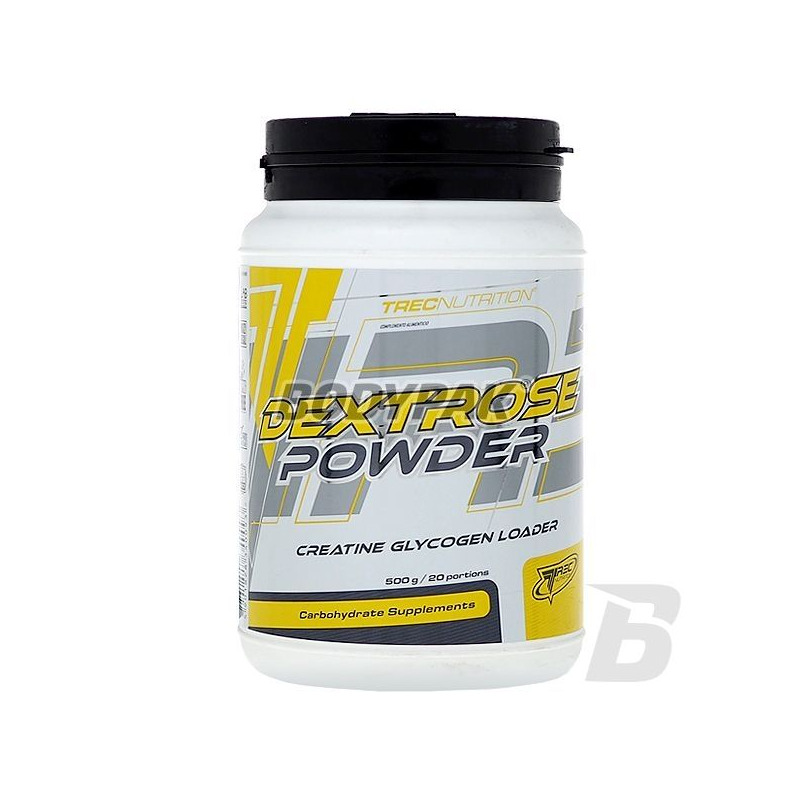 In order to obtain better results in the formation of muscle mass, it is desirable to combine dextrose with creatine, glutamine peptide, protein and whey. 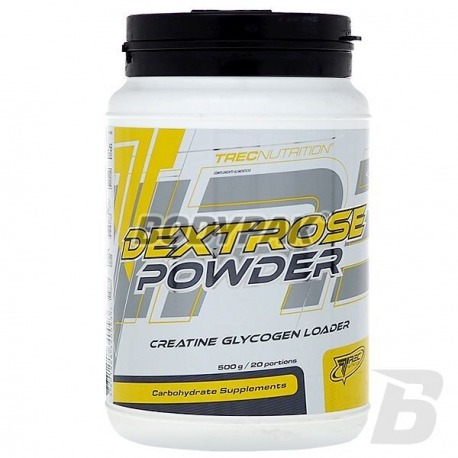 TREC DEXTROSE Pro will help you fast-paced BUILD QUALITY MASS! Serving of the product - 50 g dissolved in 200 ml of water using a shaker. Depending on demand use 1-2 servings daily, preferably in the morning after waking up and immediately after training. Dextrose is the carbohydrate increases insulin secretion of the hormone, which potentiating the absorption of creatine and amino acids. Improve your athletic performance thanks supplement! High-quality product designed for physically active people and athletes, as a means of improving the ability of exercise, by current energy supplies and post-exercise glycogen overcompensation.